to a blight that’s killing the butternuts. nut crop feeds woodpeckers, turkeys, squirrels and other wildlife. The tree’s hard wood resembles walnut, but with a lighter, golden tone. work underway to try to save the butternut before it’s wiped out. specific problems, like butternut canker. Rudy Dyck is the Director of the local Watershed Stewardship Services. Dyck says that’s why it’s important to conserve existing trees. tree biologists want to save for future generations. Will Chestnut Trees Make a Comeback? Midwest. Now, there are virtually none because a fungus killed them. mines. McCarthy believes they may help reclaim the land. lumber and food for wildlife. For the GLRC, I’m Bill Cohen in Columbus. That old chestnut of a song romanticizes roasting chestnuts as a part of the holidays. But a lot of us have never even seen chestnuts, let alone roasted them on an open fire. 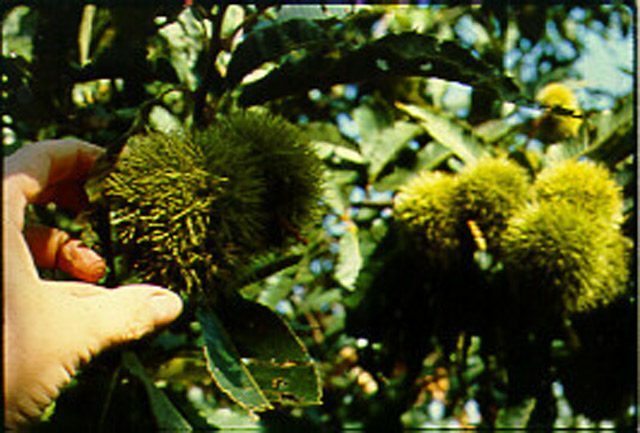 Chestnuts used to be a major part of the Eastern hardwood forest. There were millions of them. In fact, 25 percent of all the mature trees were chestnuts. But a blight, imported with some Chinese chestnut trees, slowly wiped out the American chestnuts. Now, they’re gone. Well… almost. Much of the root stock is still alive. Sprouts grow until the blight knocks them back again. A blight only hurts the standing tree where it branches out. And, in a few isolated pockets in the Midwest, the blight hasn’t reached the trees. A few American chestnuts are alive and growing and some of them are free of the blight. 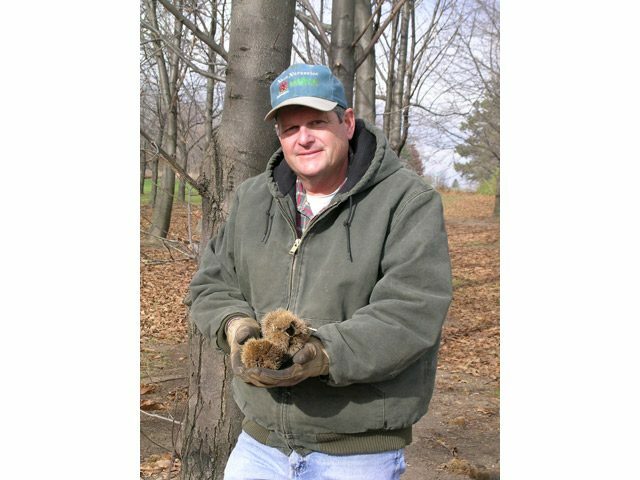 At Nash Nursuries in central Michigan, owner Bill Nash is guiding us through a rare sight… a grove of American chestnuts. In a few places in Michigan and Wisconsin there are small groves of chestnuts. They’re prized trees. They’re great for shade. The hardwood is rot resistant and makes great furniture and fence posts. And the chestnuts are eaten by humans and wildlife alike. Bill Nash says the tree will be popular again if it ever overcomes the blight that’s hit it so hard. That part about a wildlife tree is more important than just worrying about the squirrels and bunnies. 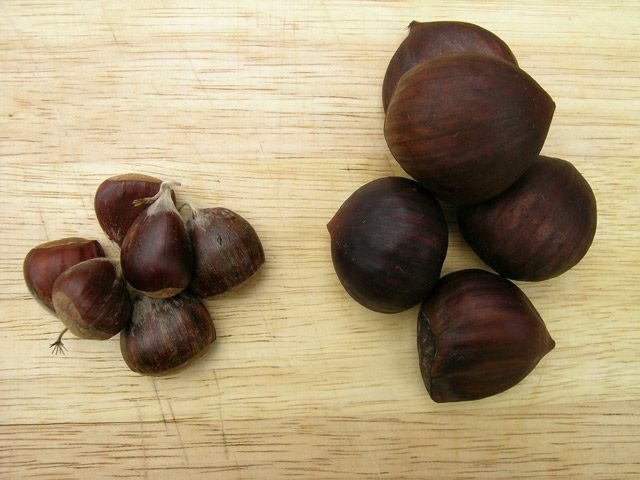 Chestnuts were an important food source for all kinds of animals. Andrew Jarosz is a plant biologist at Michigan State University. 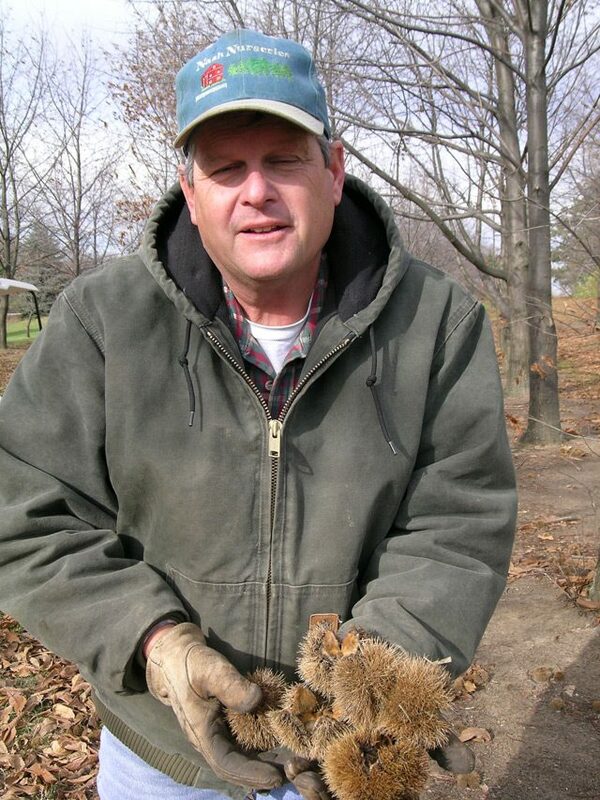 He says the loss of chestnuts has been hard on wildlife populations. Since the blight first began hitting American chestnuts about a century ago, researchers have been looking into all kinds of ways to stop it. One way is to cross it with the Chinese chestnut which has a couple of genes that resist the blight. But it takes a long time to breed out the Chinese characteristics from the American chestnuts and still keep the resistant genes. Another approach is genetic manipulation. 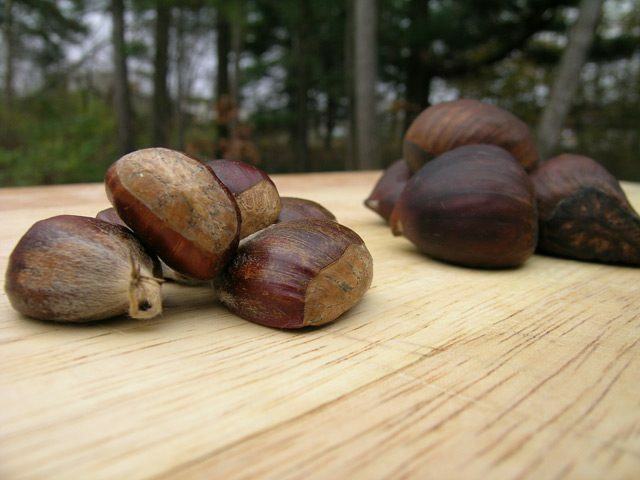 Genetically modifying the American chestnut tree to make it disease resistant. Again, work is underway, but it takes a long time. And even after success, it’s likely some people won’t like the idea of releasing a genetically modified organism into the wild. The final approach worked in Europe when the blight hit there. 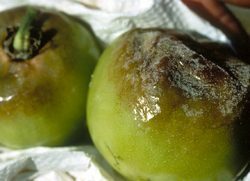 It seems there’s a naturally occuring virus that kills the blight. It spread naturally in Europe. There are a few groves in Michigan that have naturally acquired the virus and it’s working to keep the blight at bay. Andrew Jarosz is working on the research. He says the trick is figuring out how to get the virus to spread to other trees short of manually spreading it on cankers infected by the blight. Even with all that hopeful research, it’ll be ten years at least before some practical solutions end up in the forests, and Jarosz believes a couple of centuries before the American chestnut holds the place it once did in the forests. Bill Nash knows it’ll be a while before there are major changes, but he is optimistic about the American chestnut.